Preservation is a creative art and an enormous amount of pleasure and satisfaction is gained in producing preserves well below shop prices with flavour and colour no commercial product can match. As your experience grows, you will be able to experiment with combinations of fruit, vegetables, herbs and spices to produce your own individual recipes! 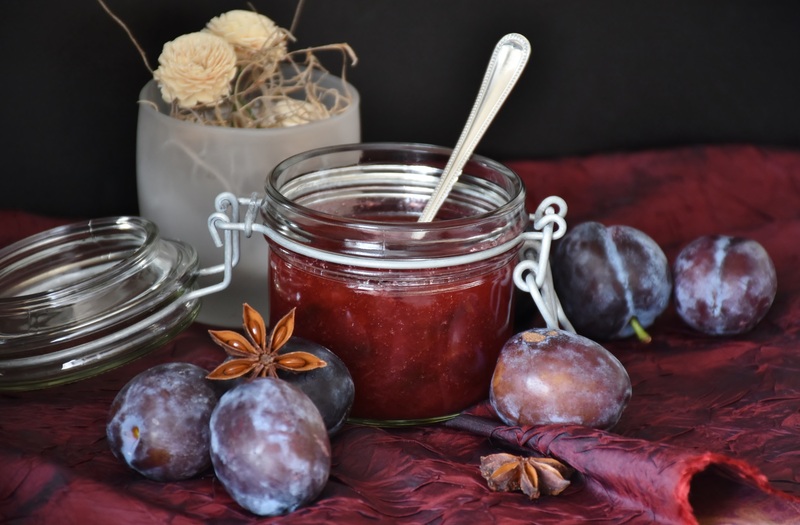 Find below links to some of your favourite jams and preserves. There are a few golden rules when making jams, jellies and marmalades. Use dry, unblemished and not overripe fruit. Use the correct sugar for the recipe and note jam sugar is different to preserving sugar. Jam sugar contains pectin -which is used for setting. Preserving sugar has fine sugar crystals giving a very clear preserve. All equipment must be scrupulously clean. All your jars and lids must be sterilised, then keep the jars warm until you pour in the jam. Always seal jam when it is hot. Update - there has been some controversy about the re-use of jam jars if preserves are produced and sold for charitable purposes on an infrequent basis. Jam jars can be re-used for this purpose as long as good hygiene practices have been followed. Use as little water as possible (except for making marmalade) and cover the fruit with a tightly fitting lid. Skim the scum frequently while the jam is boiling or add a small knob of butter to disperse it. To test for a good set put a few saucers into the freezer before you start. When the jam is boiling rapidly and you think it is ready to pot take a saucer out of the freezer and drop a small spoonful onto it. Allow to cool for a minute then push your finger through the jam - if it wrinkles it's ready; if not boil for a few more minutes. Continue testing until a set is reached. Always remove the pan from the heat while you are testing so that it won't be overcooked!